Drug Lord (and Drug Lord Free Edition) by RJH Designs brings the classic Drug Wars game (also known as Dope Wars or Drug Trader) to the Android platform. Of all of the versions we've seen to date, this is one of the more thorough ones. 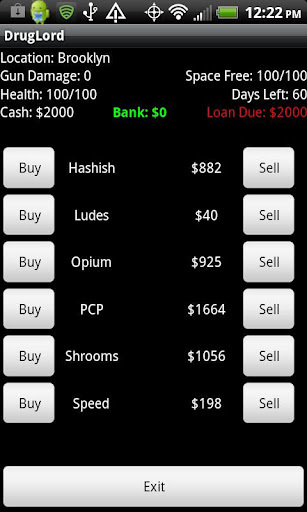 For those unfamiliar with this classic, the goal of the game is to buy and sell as many drugs to make the most money before you run out of time. When the game starts, the player owes the loan shark money, and during the game if you run out of money and have no drugs to sell, you can go to him to get another loan. But be careful, money borrowed from the loan shark will collect interest as you travel to different locations. 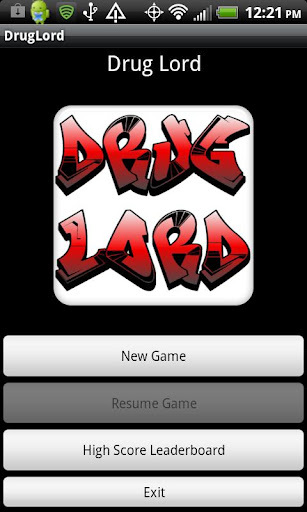 Drug Lord also offers a social element via its Swarm-enabled features. Nice! Do you already know what you like? Are you new to the game, but it sounds appealing? 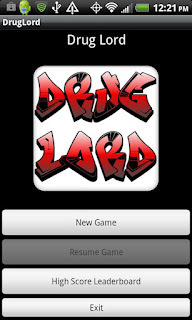 Then check out Drug Lord Free Edition, and if you're happy with it, then support the developer and buy the full version of Drug Lord.